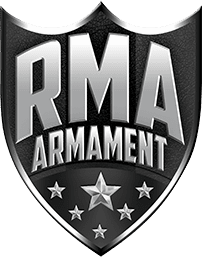 CENTERVILLE, IA – September 8, 2017 – RMA Armament, Inc., is proud to introduce a brand new product to it’s hard armor lineup; a 6”x6” level IV side plate. As RMA has become the most sought after hard armor brand in the law enforcement and armed services communities in recent years, the requests for a lightweight, yet affordable level IV side plate have been innumerable. And this plate fits the bill at 2.47 lbs, available for an introductory price of just $89.99 per plate. In testing at National Technical Systems – a NIJ approved ballistics laboratory – in Wichita, Kansas, RMA’sLevel IV side plate (model #1155sp) defeated a single round of .30-06 armor piercing ammunition from 50 feet, registering a back-face signature of just 33.27 mm. For compliance to the NIJ 0101.06 level IV standard, a hard armor plate must defeat single .30-06 M2AP round with a BFD of less than 44 mm. The model #1155sp level IV side plates are now available to order at www.rmadefense.com. 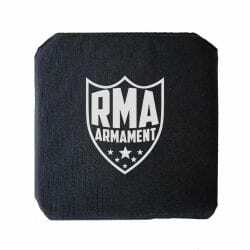 RMA Armament, Inc, is a privately held Veteran-owned small business which designs, manufactures and markets patented and NIJ certified hard body armor plates at its production fortress in Centerville, IA. Founder and CEO Blake Waldrop is a U.S. Marine veteran and former Law Enforcement officer who created the company to build stronger, lighter and more affordable body armor. To learn more, visit our website at: www.rmadefense.com.